There was a very small amount of fresh snow today. 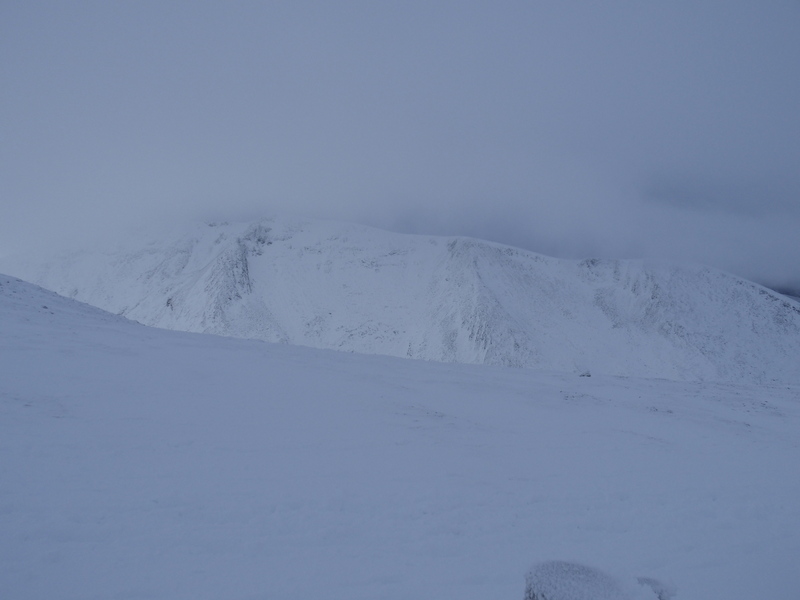 The visibility was very variable and it remained cold. 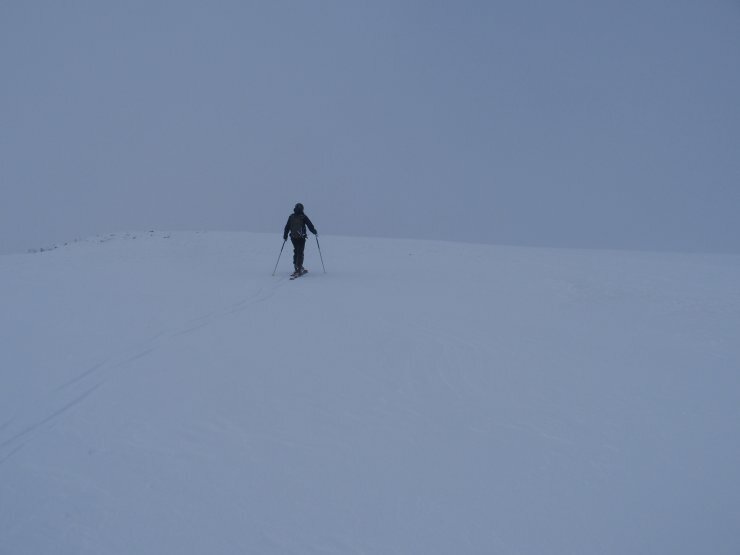 Skiers, climbers and walkers were out enjoying the conditions. The hills above Loch Lochy in the sun this morning. 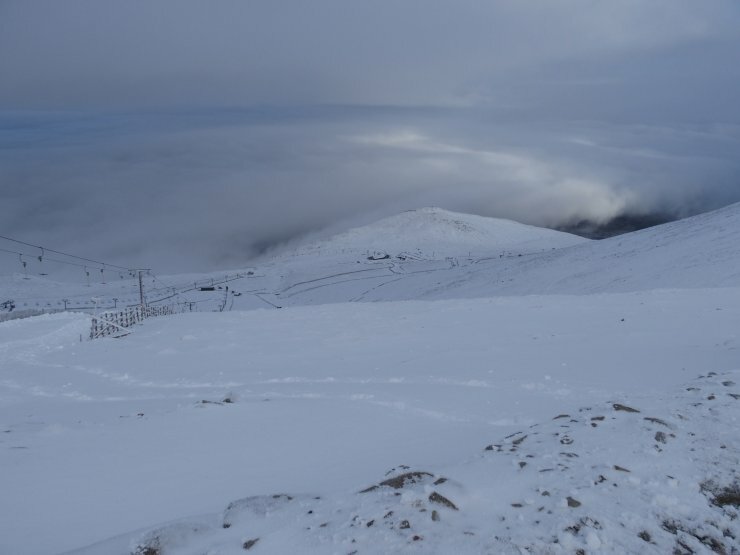 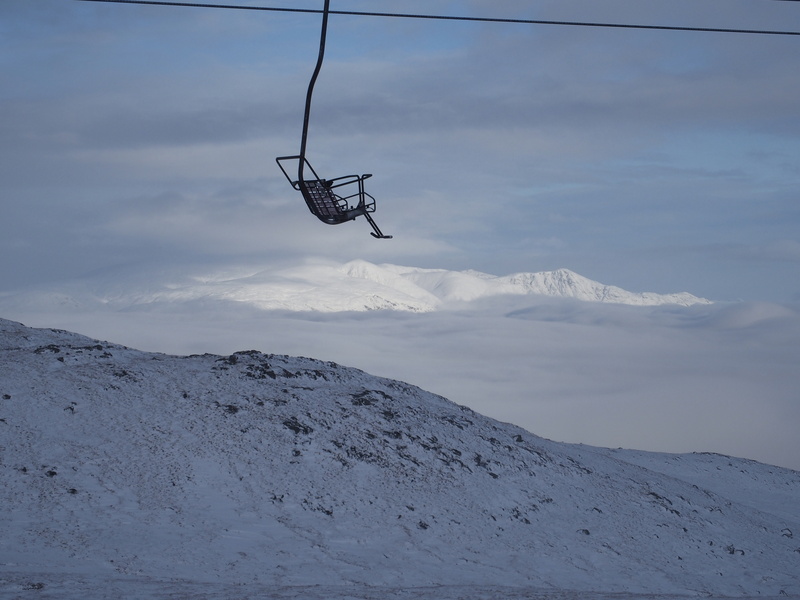 Nevis Range ski area. There are some good drifts of snow but in many areas the cover is thin. The West face of Carn Mor Dearg. 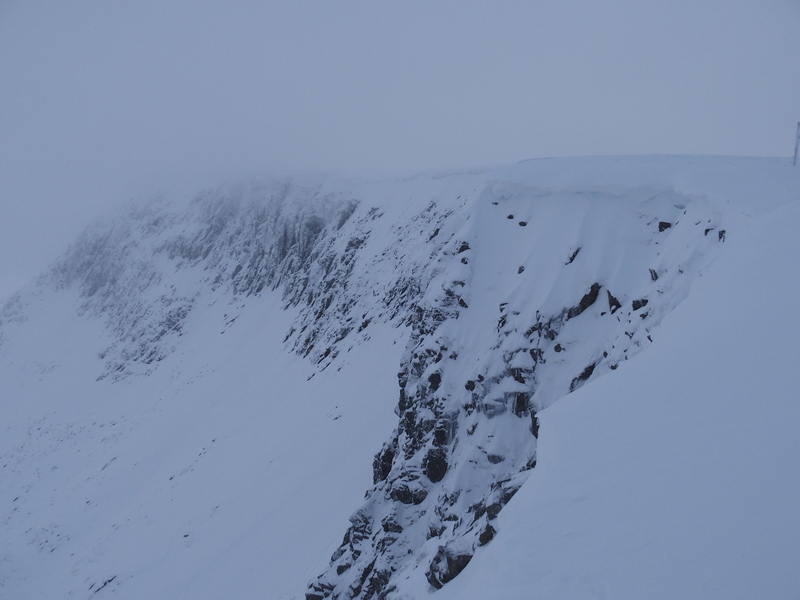 Looking South at the crags in Coire an Lochan. 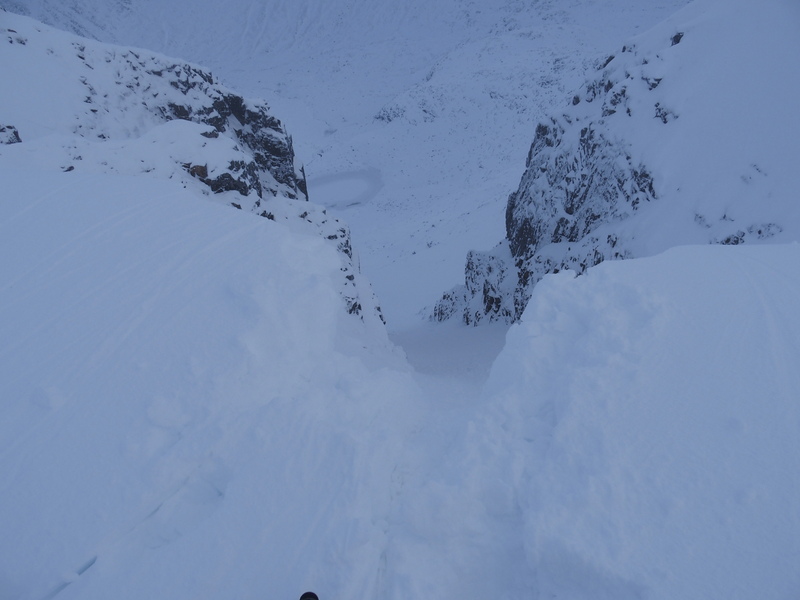 Looking down Easy Gully into Coire an Lochan. There is a reasonable cover of snow on the Aonach Mor plateau.